As Chief Operating Officer, Bill Demianiuk shares his passion for patient care and dedication to overseeing daily operational excellence throughout the entire Shields network. He is responsible for establishing numerous joint ventures in all facets of Shields Health Care Group’s divisions. His effective leadership ensures the highest quality standards for our patients, effective resource alignment, measurement and accountability within the company. 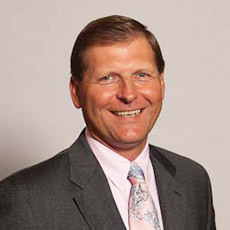 Bill joined Shields Health Care Group in 1992, hired to lead the Marketing and Quality Assurance division. The role quickly evolved six years later to his current position of COO. Prior to joining Shields, Bill was employed by E.I. Du Pont de Nemours, where he held the position of Global Product Manager and was the recipient of numerous sales awards. In 2012, Bill received the Shields Founders Award, a prestigious award recognizing his vision and leadership. Bill graduated from the University of Maine at Orono with a Bachelor of Science degree.